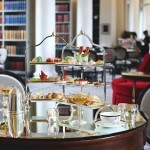 Looking for the best afternoon tea venue in Edinburgh? 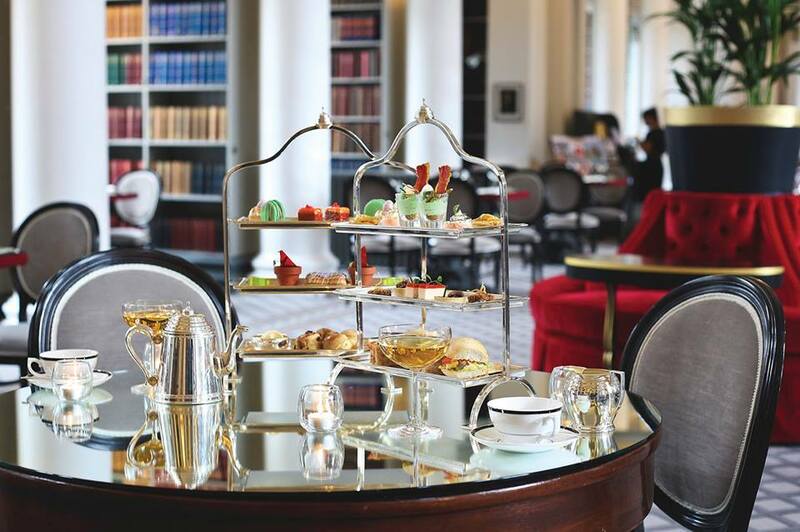 Here’s our guide to the best afternoon tea in Edinburgh for 2018. Why not treat yourself to a little luxury with a decadent afternoon tea in Scotland’s beautiful capital city. This new afternoon tea experience is taking Edinburgh by storm and is quickly becoming one of the best afternoon tea experiences in the city. All aboard for a Gin Cocktail Afternoon Tea whilst touring the capital’s historical streets. Camera’s at the ready as you explore Edinburgh’s vibrant streets. As you trundle along Edinburgh’s historic Old Town, its grand Georgian Terraces and perhaps over the odd cobble or two, view the city’s iconic landmarks whilst sipping on a delicious gin-pot cocktail. This refreshing gin cocktail is a sumptuous blend of gin, fresh herbs, mixers and edible flowers. Tuck into a feast of freshly made sandwiches and a mouthwatering selection of sweet treats including warm scones and locally produced dairy cream. Your afternoon tea aboard this vintage double decker bus is served with your choice of tea or coffee. 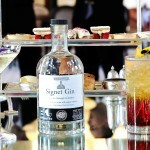 Dare we say this popular gin afternoon tea experience has shot into pole position? 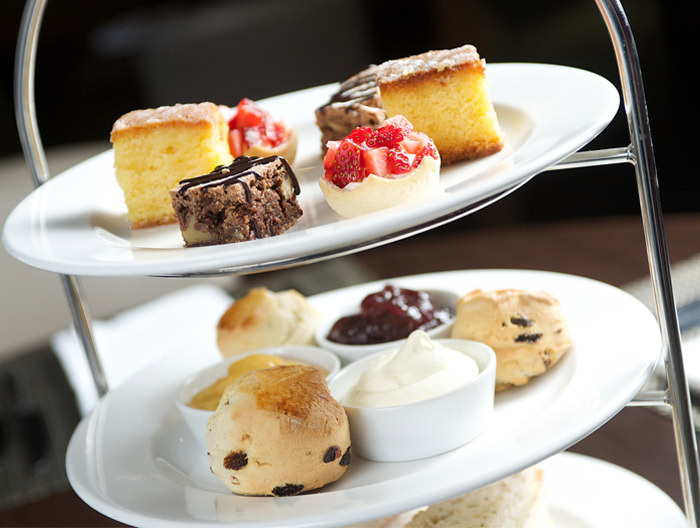 Check out this fantastic afternoon tea offer . . . Enjoy afternoon tea in fresh, contemporary surrounds at the Sheraton Hotel’s One Square situated in Festival Square. 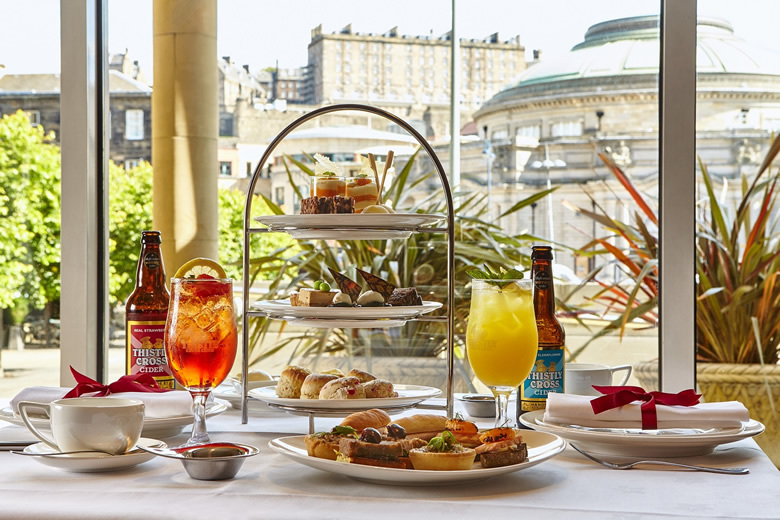 Sink into one of their stylish high backed chairs and enjoy one of the best views for afternoon tea in Edinburgh with a wonderful view of Edinburgh Castle from their floor to ceiling windows. In warmer weather, you can eat alfresco on their relaxing terrace. They even provide blankets if it’s a bit fresh. Their afternoon tea menu changes seasonally to ensure that they capture the very best of Scotland’s natural larder. Book afternoon tea at the Sheraton Hotel. Situated to the East of Edinburgh next to Waverley Station is the formidable Balmoral Hotel. Afternoon tea in the sumptuous surrounds of their Palm Court is an oasis of calm with a harpist providing soft background music. 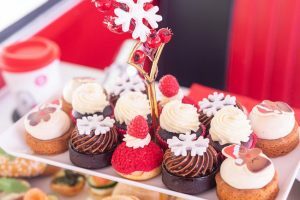 Their traditional afternoon tea created by Head Chef, Jeff Bland, offers a selection of classic and contemporary sandwiches and savouries accompanied by pastries, treats from the trolley and fresh homemade scones served with clotted cream and preserves. A range of loose leaf teas or fresh roast coffee will compliment your afternoon tea. A glass of champagne will add that extra sparkle to a very pleasant afternoon. 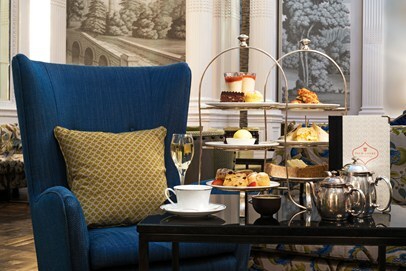 Why not make a day of it and combine a luxury spa day at the Balmoral hotel with afternoon tea? Find out more . . . 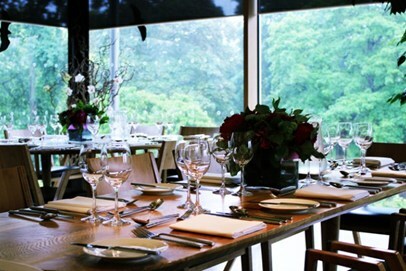 The Royal Botanic Gardens on the north side of the city offer a wonderful alternative to city centre dining. In the contemporary setting of the John Hope Gateway Building, floor to ceiling windows offer stunning views across the magnificent landscaped gardens. With a tempting assortment of cakes, scones and savouries afternoon tea can also be enjoyed with a selection of teas, freshly brewed coffee and glass of champagne. Open until sunset, this has to be the best afternoon tea in Edinburgh for gardening fans. The Royal Botanic Gardens are a short taxi ride from Edinburgh’s two main railway stations. Enjoy a wonderful afternoon tea and a leisurely stroll through the gardens. Reserve your table for afternoon tea online today. A new and ultra glamorous arrival to afternoon tea in Edinburgh is the Colonnades, an equisitely refurbished tea salon in the historical Signet Library in the heart of Edinburgh’s Royal Mile. 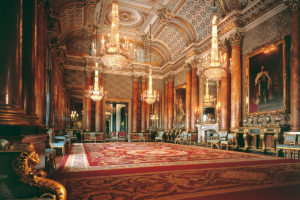 Breathtakingly restored to its former glory with fluted Corinthian columns, intricate gold leaf detailing and overlooked by the gallery’s ornate balustrades in neo-classical style, it is THE place to see and be seen. Their Tea Sommelier will gently guide you through the finest selection of teas to be enjoyed alongside fresh, seasonal savouries and sandwiches and decadent cakes created by their resident pastry chef. 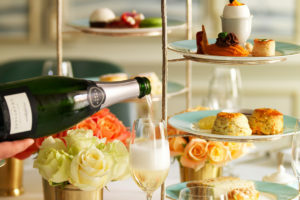 An enticing range of champagnes and cocktails are the perfect accompaniments to celebrate a special occasion and make this perhaps the best afternoon tea in Edinburgh. This Spring the Signet Library have created another outstanding afternoon tea – a feast to the tastebuds and the eyes. 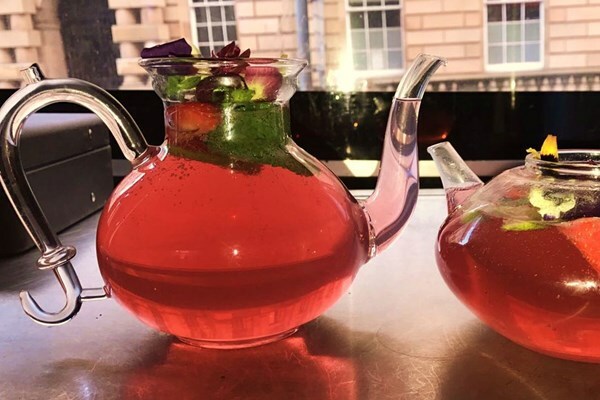 Treat yourself to a gorgeous afternoon out and be sure to ask for one of their mouthwatering cocktails – the perfect match for the most glamorous afternoon tea in Edinburgh. Operated by Heritage Portfolio, take a moment to read our review of afternoon tea at the Colonnades or book on-line. The MacDonald Holyrood Hotel is a thoroughly modern hotel situated in just off the ancient streets of Edinburgh’s Old Town. A short walk from the Palace of Holyrood House, Edinburgh’s Dynamic Earth and Scotland’s Scottish Parliament, it’s the perfect location to combine sightseeing, afternoon tea and some gentle pampering. Perfect for a girl’s day out the MacDonald Holyrood Hotel offers the chance to experience a choice of Elemis beauty treatments and a traditional afternoon tea in relaxed surrounds. These are just a few of our own ideas for the best afternoon tea in Edinburgh. Why not drop us a line with your own suggestions we’ll be sure to check them out. 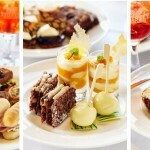 Girls Afternoon Tea have a gorgeous selection of venues for afternoon tea in Edinburgh. 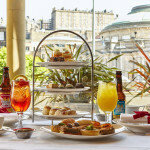 Browse our afternoon tea venues for Edinburgh, read the reviews and book one of the best afternoon teas in Edinburgh online today. Girls Afternoon Tea: Your Guide to the Best Afternoon Tea Edinburgh for 2018.